The York Suburban Education Foundation (YSEF) is pleased to announce it has awardedÂ eight grants totaling $52,883.40 through its 2018 Grant program. A grant of $1,370.00 will support the development of a permanent garden on the high school campus, including a temporary greenhouse facility. Through collaboration among YSHS and Valley View Elementary staff, it is designed to help students of all grade levels develop an appreciation for the life cycle of plants as well as the use of sustainable growing practices within food meal planning and preparation. The students will also have the opportunity to study hydroponics, a relatively new technology in plant growth. This grant was made possible by YSEF’s Jeffrey D. Sindicich Endowment Fund held at the York County Community Foundation. The fund is in memory of Jeffrey Sindicich, York Suburban graduate class of 1986. In 2016, YSEF supported this pilot program which aims to build connections through Imagine Learning, an award-winning software program that features interactive content for the increasing population of English Language Learners (ELL). This program provides first-language support in 15 languages, while gradually translating reading for the students to begin acquiring essential English language skills. 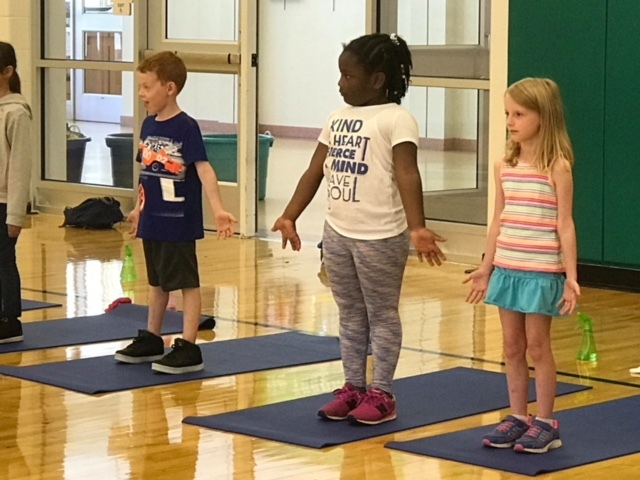 In 2017, YSEF supported a grant to fund three face-to-face activity meetings throughout the summer with students and their families to keep the program active and celebrate student progress with families through fun incentives. Upon seeing the positive impact of the summer meetings for ELL students at Yorkshire, this $1,400.00 grant will allow this program to expand to Valley View Elementary and will also support families of 2nd grade ELL students as they transition to East York and Indian Rock Elementary Schools. As the high school strives to align the YSHS chemistry curriculum to the new gold standard of Next Generation Science Standards (NGSS), the chemistry department is building opportunities for classroom activities to reflect the interconnected nature of science and to explore how chemistry concepts can be applied outside of the classroom. This $4,032.64 grant will allow for the purchase of updated hydrogen fuel cell model kits which assist students in learning the chemical principals of creating energy, including sustainable sources of electricity. The grant will also provide a class set of wind turbine models for students to use in conjunction with the hydrogen fuel cells from the solar panel model cars. Having these resources will help create a powerful opportunity to teach chemistry students about renewable resources and the significance of saving electricity to conserve natural resources. Last year, YSEF awarded $40,000 to support the district-wide Learning Commons strategic initiative to incorporate STEAM (Science, Technology, Engineering, Arts, Mathematics) concepts into the York Suburban curriculum at all learning levels. STEAM promotes inquiry and project-based learning, collaborative learning, critical thinking skills, innovation, and creativity. From incorporating coding, engineering, and design into kindergarten lessons to enhancing STEAM labs in the high school to transforming the middle and high school libraries into flexible learning spaces that allow for collaboration and exploration, last year’s collective York Suburban Learning Commons grant reinforces the district’s dedication to maintain academic rigor, critical thinking, and problem-solving skills. To support the continued evolution of the STEAM initiative, YSEF will provide an additional $27,000 for the purchase virtual reality headsets and equipment to promote virtual aspects of learning with efficient technologies for creation and sharing. These new upgrades and resources will promote greater global and cultural understanding as students work together to investigate and solve complex problems with an emphasis on active and collaborative engagement. A safe storage system for the equipment is also included in this grant. This grant is supported with corporate funds donated to YSEF through the PA State Educational Improvement Tax Credit (EITC) program. Additionally, a generous individual donation of $10,000 will enable the Middle School to continue innovative and self-sustaining practices to support the Outdoor Classroom and Conservation Efforts. All YSMS students will be involved in some form of planning, designing, engineering, building, harvesting or marketing related to the Outdoor Classroom. A student led recycling program will also be instituted that will collect and recycle used 3D printer filament from Suburban and surrounding school districts. As the number of students requiring outside the box innovations and support increases, Mrs. Kopp and Mrs. Cummings continuously explore how flexible classrooms can impact the diverse learning needs of students. Over the last two years, they have been on a mission to transform their classrooms into spaces where students feel welcome and allow students to explore different options so that they may choose their best learning environment. Growing on the grant they were awarded last year for standing desks, this $6,453.76 grant for additional flexible seating includes desks that can easily be configured into groups of two, three, four or six. Adding rolling chairs will further enhance their ability to make flexible grouping and impromptu learning opportunities possible anywhere in the room. By providing more flexible seating options, students will have the freedom and movement necessary to reinvigorate the classrooms and create more room for collaboration, creativity and problem-solving. York Suburban’s primary buildings provide English books for all levels of readers to take home and read each night. However, many bilingual students take English-only books home to read with parents who may not be fluent in English. Attempting to read and discuss English-only books can pose challenges for bilingual families. This $2,200.00 grant will pay for English and Spanish versions of the same books so children with Spanish speaking parents may have reading experiences together promoting parental participation in school subjects while increasing fluency in English. Providing books in students’ primary languages will boost student motivation and language development in each language. To fulfill a need for volunteers and mentors to work with students to build their reading and math fact fluency, East York is partnering with members of the Eastminster Presbyterian Church congregation to support volunteer opportunities in the classroom. This $427 grant will provide funding for the necessary clearances needed for school volunteers. YSEF’s Impact Foundation students will assist the senior volunteers complete the online clearance applications. For the past two years, this congregation has funded East York’s weekend backpack program, providing for 49 East York families and continues to seek additional ways to support YS students.